We fight to protect you and your interests as fiercely as we would our own. We always remember that your legal issue is a major focus of your life. your matter and give you realistic expectations. Get practical advice and effective assistance from a business owner and business attorney who understands the importance of choosing the right entity to operate your company. Choosing to form a corporation, partnership, LLC or other entity will have ramifications for your personal and business liability, taxation, business succession, major decisions and day-to-day operations. We’ll advise you on your options and make sure your entity is formed legally and ready to do business in Florida, with all operating agreements and other instruments in place so your business can grow, thrive and help you realize your dreams. Daniel Copeland is a great attorney to work with. He will fight for what is right and his client's best interests. Highly recommended! Staff is wonderful and Mr. Copeland is always there when you need him. The paralegals are wonderful. Highly recommend! Throughout the entire dissolution of marriage, Sharon and Daniel Copeland worked diligently and efficiently to protect me and my daughter and provide us the best possible outcome, every step of the way. Had a small real estate closing and Dan was helpful and got it done in a reasonable fashion. I am in the process of going to contact Dan to do a satisfaction of mortgage for the closing he did last year. Kind of funny that both kind of happening at the same time. Mr. Copeland defended our interest in Federal Court and won. Throughout the entire process, all I experienced was professionalism and was treated as family. I'm beyond grateful for all that you and your associates done for me. Excellent, always prompt with followup. Advice spot on. The Copeland Law goes above and beyond for every client. I cannot thank Mr. Copeland enough for the assistance he has provided me. The entire process was very smooth and the services provided were handled in a very professional manner. I am so grateful that I found Mr. Copeland. 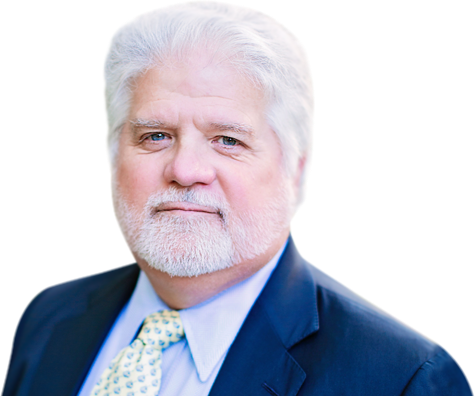 Ethical, and honest, this man does everything in his power to provide his clients with a favorable outcome. One MUST realize the wheels of law grind slowly and that not Dan's fault. Truly a bull dog of an attorney. Two very important members of our firm and family are Gauge and Willie. 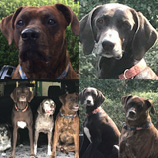 Gauge is a German Shorthaired Pointer and Willie is a Blue Tick Hound/Boxer mix. Together they serve as the firm’s official greeters. Many of our clients have found their presence to be comforting and relaxing. And, they usually bring smiles to everyone they meet. The Boys are here and available to have their ears rubbed and lay down next to your feet. They enjoy our clients and our clients enjoy them. Fill out the quick contact form below to have a member of our office contact you for a free case evaluation. We'll let you know how we can help you, so you can make an informed decision about the kind of legal representation you want to have. Please note that submitting information via our website does not create an attorney/client relationship. For more information, please visit our Disclaimer page. We know the sacrifices you make to serve your country and keep us safe, and we believe you well deserve our full support. Talk to us about your legal needs. You go the extra mile for your country; we'll do the same for you.